We are looking for Export Inquiries for our range of Biscuit Products from UAE, Africa, Russia, Egypt, Turkey, Sri Lanka and Vietnam. 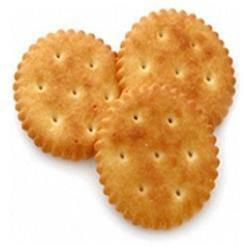 Cracker Biscuits is an alluring chattel aimed to extrude your search for a quality net of its type. 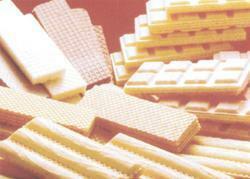 We are largest manufacturers of Biscuits, Wafers, and Confectionery & Chocolate in India. Its endowment is our assurance as we engage not just in supplying but also in manufacturing, trading, distributing, importing and retailing. With the use of quality materials and pro-efficient professionals, we are dedicated to offer it to you flawless. Kindly contact for Export requirements only. We proudly engage in offering a wide range of Cream Biscuits. 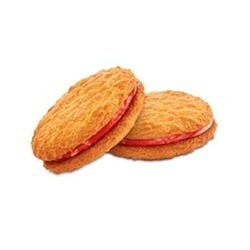 Cream biscuits is Arnott's only sweet, sour and most famous biscuit. These cream biscuits are available in lemon, orange, strawberry, vanilla, chocolate, custard, mango cream flavored biscuits. These Biscuits are made available to our clients at minimal pricing. Being a manufacturer and Supplier , we are engaged in offering you a splendid Nice Biscuits known for its sprinkled sugar topping and crisp texture. These are Coconut flavored biscuit with sugar sprinkled and crisp texture. With its quality and pricing, this product is highly asked for in the market. 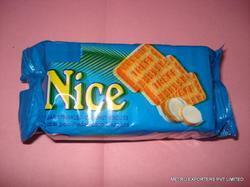 Highly acclaimed for its excellence,with take the pride to present to you a supreme quality Wafer Biscuits. These are available in great taste, high quality and outstanding value for exports. Some of the flavors offered are chocolate, strawberry, orange and vanilla. 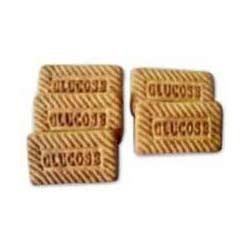 Engaged as a manufacturer and supplier, we are proudly providing Glucose Biscuits to our clients. Glucose biscuits is contain the essential nutrients of wheat and milk, which makes it a complete food package for children. These biscuits good for both body and mind and a treat for the taste buds. We are the largest manufacturers of Glucose Biscuits in India for the gram x packages per carton x no. of. Cartons per 40' HQ container.